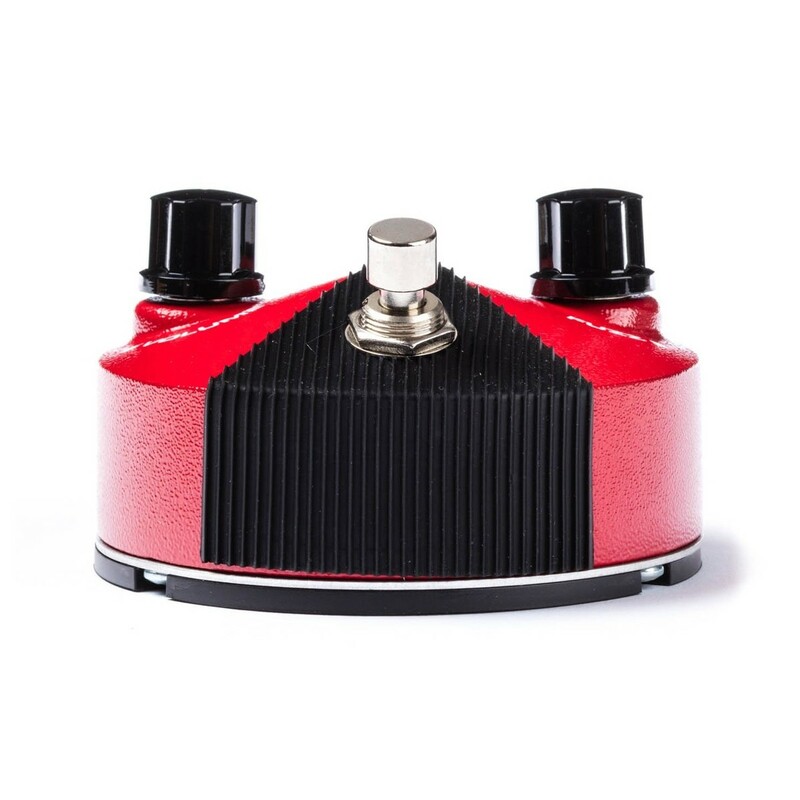 The Jim Dunlop Fuzz Face Mini Germanium Red FFM2 gives you legendary Fuzz Face tones in a smaller, pedalboard-friendly housing. This FFM2 pedal is a Germanium Fuzz Face Mini and is spec'd from the original 1960s Fuzz Face. 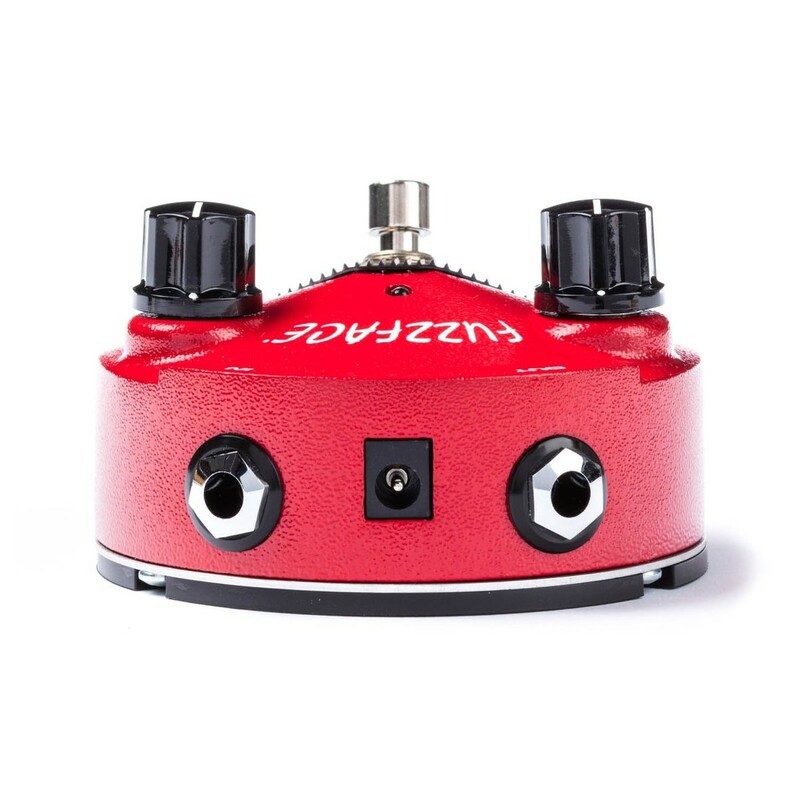 Mismatched germanium transistors provide warm vintage fuzz tones. 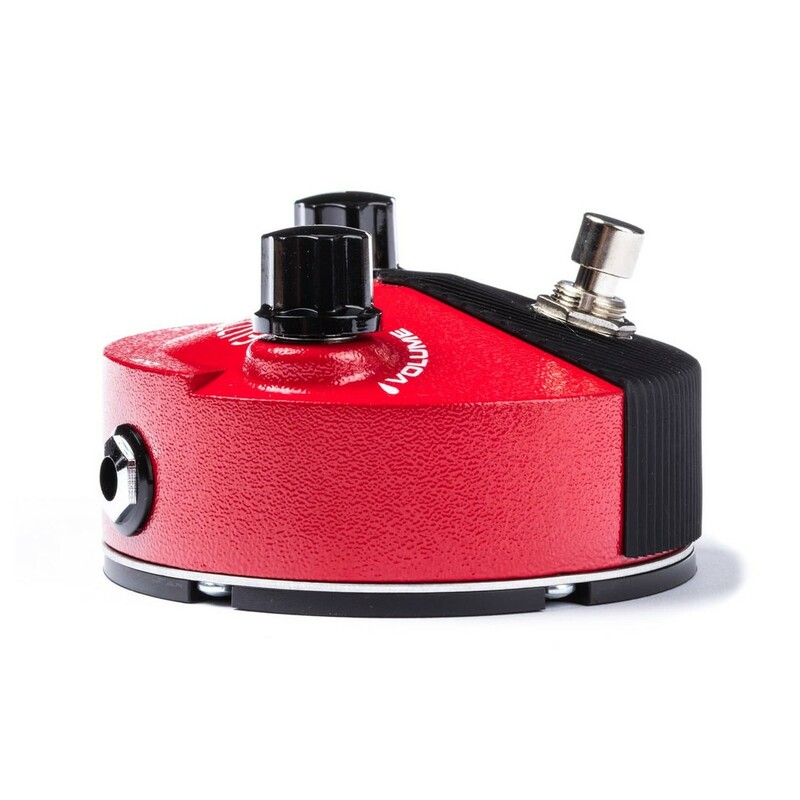 The pedal features a status LED, AC power jack, battery door and a mini housing for modern convenience. 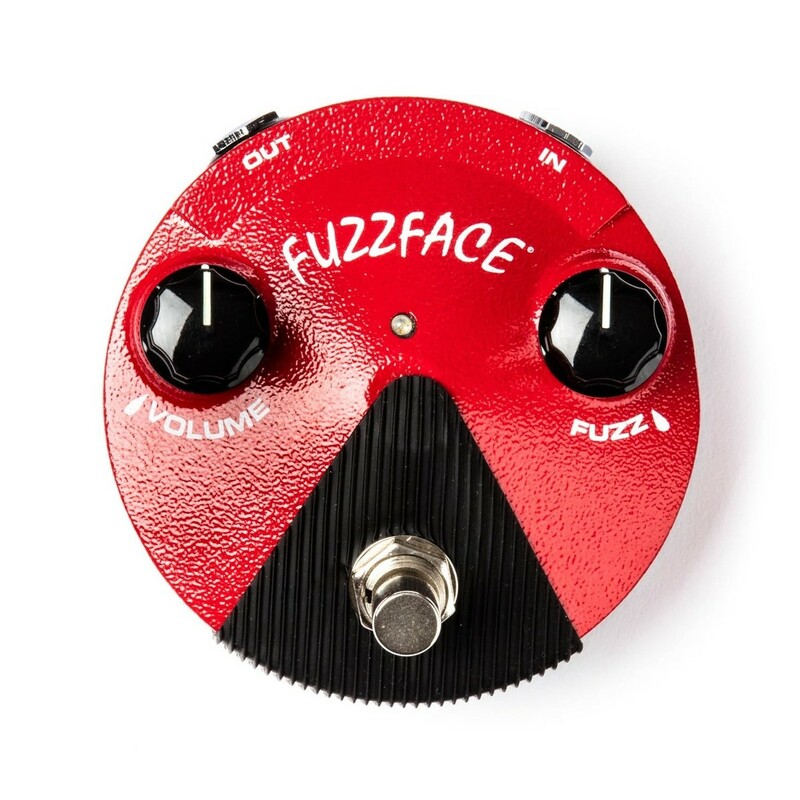 This pedal is prized for its warm, vintage Fuzz tones sound delivered by its slightly mismatched germanium transistors from the 66-68 era pre-silicon Fuzz Faces. 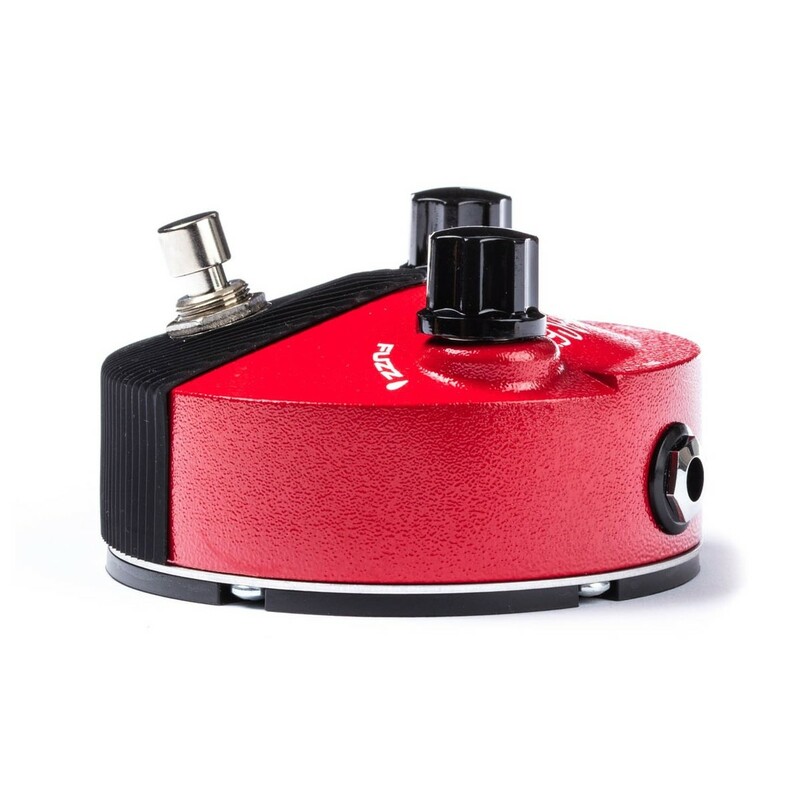 It has several modern features including true bypass switching, a bright status LED, an AC power jack and a convenient battery door.